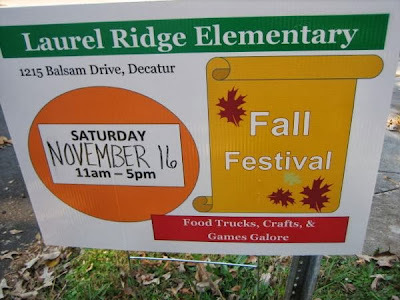 The Annual Laurel Ridge Fall Festival will inspire you to be Curiouser & Curiouser. So don’t Be Late for that Very Important Dateon Saturday November 16th. Game Trucks, Bounce Houses, Crafts, & Great Food will be great fun for the whole family. Contact your friends and relatives and tell them about this terrific community event. Come to enjoy or come to play with us. We want to feature local ‘family- friendly’ performance artists (singers, dancers, jugglers, and comedians) on our community stage. Do you know someone with a family friendly product to promote, crafts to sell, or someone who simply is looking for a place to allow the community to rummage through their treasures? Send the performers and the crafters our way! Vendor space is available. The Registration Form is on the back! Our theme is Adventures in Wonderland. Join those fabulous fictional characters in a variety of flavor and fun! 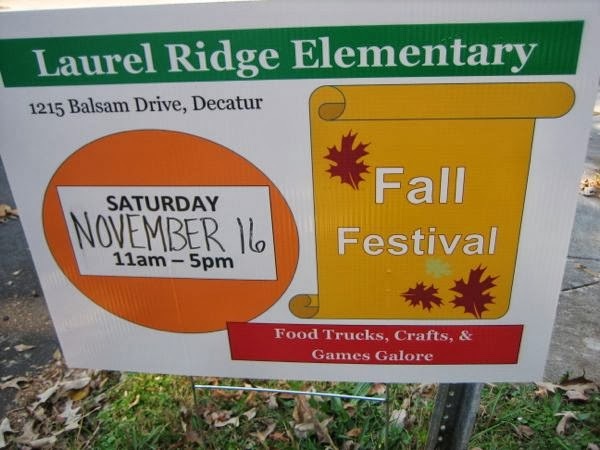 Proceeds will benefit the art, music, and drama programs of Laurel Ridge Elementary. Stay tuned for more! Want a bigger part in the adventure? Volunteers (marketing, preparations, fundraising, & event day activities) are needed for Festival preparations and Event activities. Contact Melanie Darby at meldarart@bellsouth.net for more information. For vendor registration see this link.